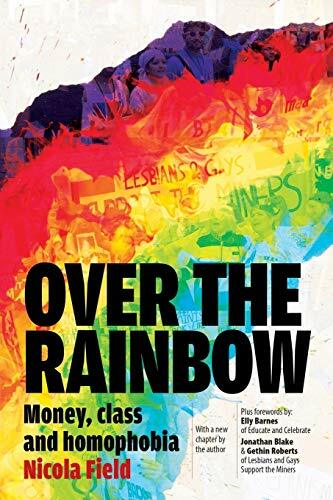 First published in 1995, Nicola Field's Over the Rainbow confronts the political contradictions in the LGBT+ movement and contains one of the earliest first-hand accounts from the frontlines of Lesbians and Gays Support the Miners, featured in the hit film Pride. Written at a time when LGBT+ people enjoyed increased visibility but faced continued discrimination and assault from conservative governments, Over the Rainbow sets an agenda for resistance rooted in class politics and shatters the myth of a unified LGBT+ 'community'. Including fresh material, this expanded edition considers the impact of Pride and the challenges ahead for LGBT+ activism in the 21st century. Nicola Field, an original member of LGSM, is a London-based writer, artist and activist. She has written for Diva, Socialist Review and Ambit; exhibited at the V&A and the British Film Institute; and spoken on political platforms internationally. Nicola Field is an original member of the groups Lesbians and Gays Support the Miners and Lesbians Against Pit Closures, whose true story was featured in the hit film Pride. An author, artist and socialist activist, she has written extensively on LGBT+ and other campaigning issues over the past 35 years and is a regular reviewer for Socialist Review. She is currently working on a book on LGBT liberation, pinkwashing and the politics of class. Nicola lives in London.